MAH-MCA-CET 2017 is an entrance exam for admission to the Master of Computer Applications (MCA) courses in academic year starting 2017-18. 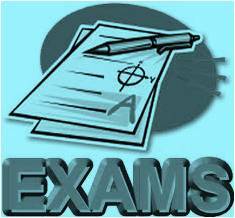 The online exam of MAH-MCA-CET 2017 will be held on 19th March 2017. 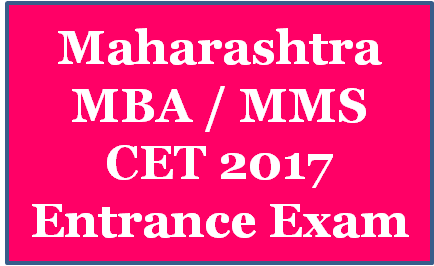 Students aspiring to apply for admission to first year of full time post-graduate degree in MBA / MMS courses starting academic year 2017-18 in Maharashtra colleges have to appear for a common entrance exam called MAH-MBA/MMS-CET 2017. Career Nurturer had an opportunity to conduct a career guidance seminar for students of Class 10th at City International School – Mumbai. 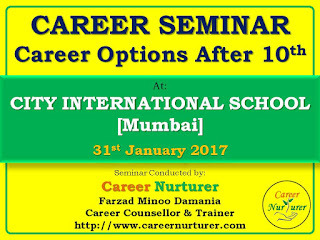 Mr. Farzad Minoo Damania – Career Counsellor and Founder of Career Nurturer Counselling presented a seminar on “Career Options after 10th” at City International School Mumbai on 31st January 2017. 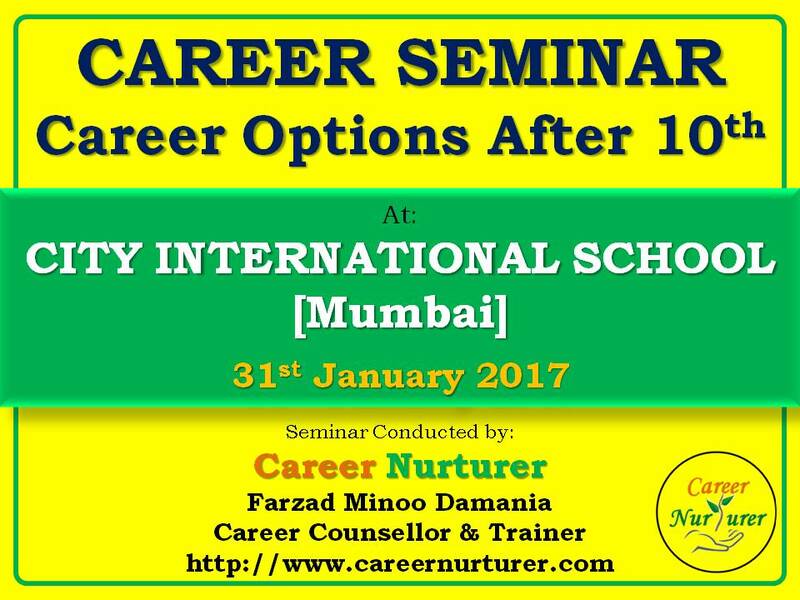 Here are some snapshots from the career guidance seminar titled “Career Options after 10th” by Mr. Farzad Damania - Career Nurturer Counselling at City International School (Mumbai) on 31st January 2017. Career Nurturer would like to extend a special “Thank you” to the Principal of City International School (Mumbai) - Ms. Maharukh Kadodwalla for giving Mr. Farzad Minoo Damania an opportunity to guide her class 10th students towards career planning. MHT-CET 2017 entrance exam for admissions to B.E./B.Tech. and B.Pharm./Pharm.D. courses for the year 2017-18 will be conducted on 11-05-2017. 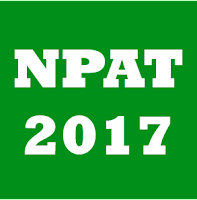 NPAT 2017 (NMIMS Programs After Twelfth) is an entrance test for admissions to Undergraduate and Integrated Degree Programs (Academic session 2017-18) being offered by constituent schools of NMIMS at Mumbai, Shirpur, Bengaluru, Indore and Navi Mumbai Campuses.